For getting carrots from visitors, this deer was brave to near the fence. 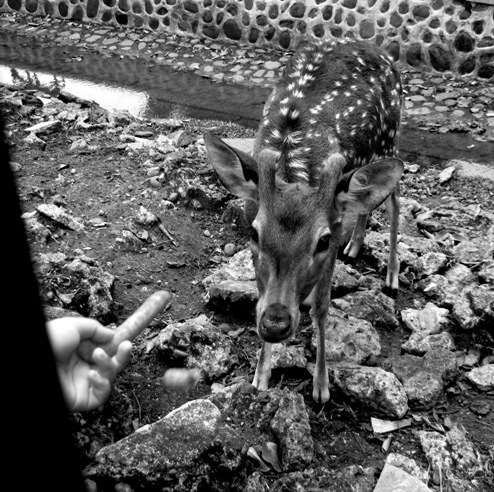 That young faun didn't know enough to be afraid of people, especially when being fed a treat, Ahhh. Wonderful photo. Great B & W! Beautiful fawn! What a delightful photo! The deer has such a sweet face. ooh,- so cute! Great shot! Great shot of the giraffe being fed. A lovely design for a deer's fur!